UFSPro Series is a professional reader tool to read and write data in each LUN of UFS IC. 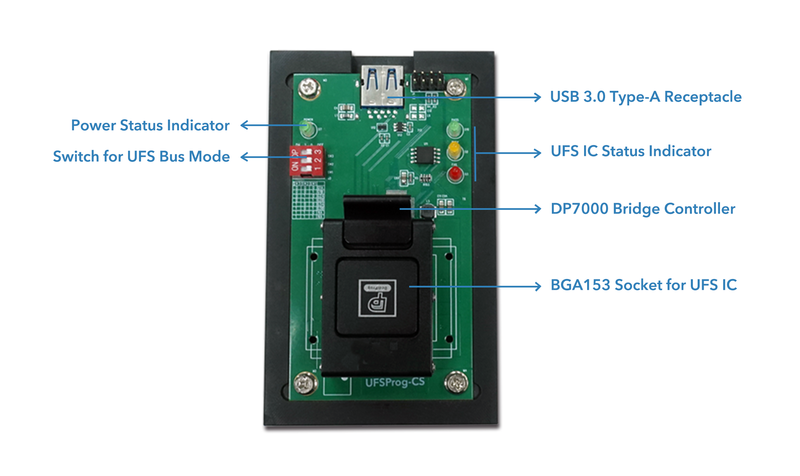 With a powerful bridge controller IC, DP7000, UFSProg series can support UFS v2.1 up to Gear 3 speed and USB3.1 Gen1 with UASP high-performance protocol. Compliant with UFS v2.1, which supports HS-Gear3. 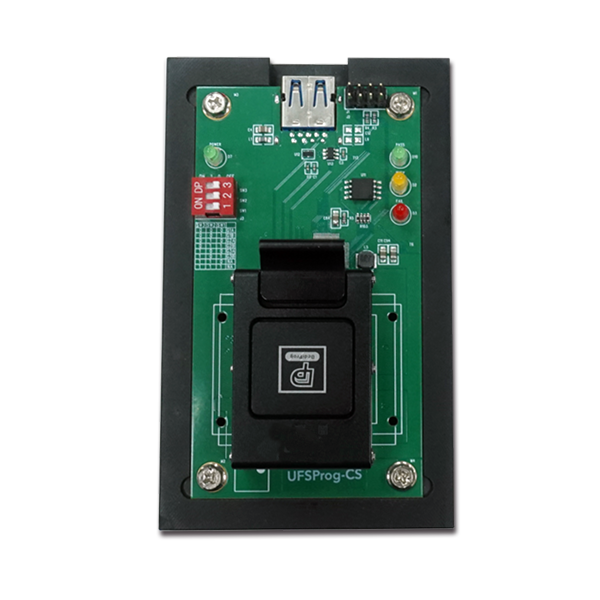 Compliant with USB v3.1 Gen 1, which supports UASP. Each of LUNs will be enumerated as logic disk under USB mass storage mode. 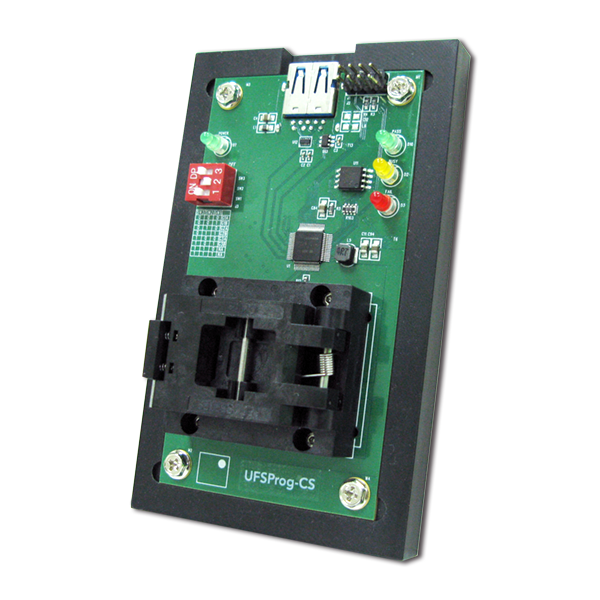 UFSProg Series provide different BGA153 11.5*13 socket type for different demands. For example, opentop, clamshell, and adjustable clamshell. 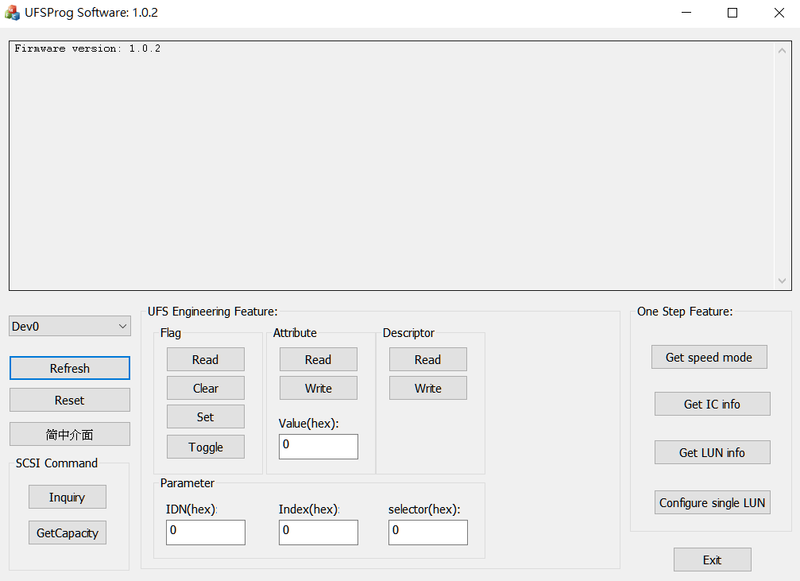 Ｗith UFSProg software, the user can easily get IC information in one step feature or read/write register in the engineering mode.